This golden boy is looking for a forever home. He is about to be 11 months old and would love a family to call his own. He is already neutered and up-to-date on vaccinations. Zane is currently living at the Greater Birmingham Humane Society in Alabama. His adoption fee is only $75. 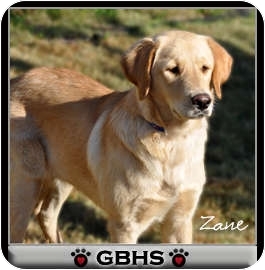 For more information on Zane please go here or contact 205-942-1211 or adoptions@gbhs.org. Let's spread the word and find sweet Zane a home!